Building a business is a bit like climbing a mountain. You wouldn’t climb a mountain without the proper and the best gear would you? You would make sure you and any of the team going with you were trained and knew what they were doing. You would have a planned a route that you were going to take and would build in contingency plans, … just in case of emergencies. You would, wouldn’t you? 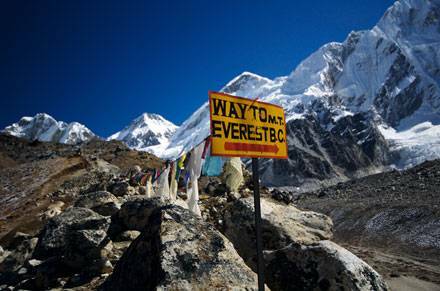 Preparation is essential, only one in four will reach the summit of Everest. There are still an estimated 120 bodies on the Mountain that have died whilst trying. In business, one in three is likely to succeed so whilst starting a business has slightly better odds than reaching the summit of Everest, the more you prepare the better your chances are of that success. It is a long old climb to the summit and you may think every so often ‘why on earth am I doing this?’ Therefore, it is worth stopping every once in a while to admire the view to see just how far you have come.